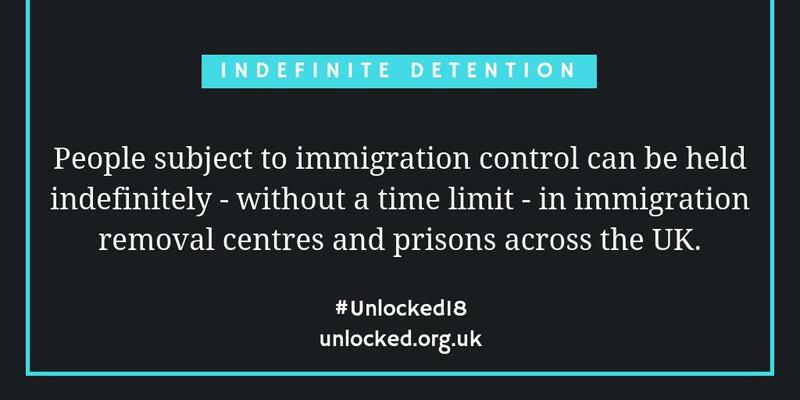 From the 26 November – 2 December, Unlocking Detention visited Colnbrook and Harmondsworth, the two detention centres next to Heathrow Airport. Here, a few hundred metres from the runway, well over 1,000 people can be detained indefinitely. As well as six new blogs, this week we had a double Q&A with two people in Harmondsworth, DAK and Seed (not their real names), who spent over an hour answering questions sent in from across the UK. Read on for a summary of the week, and click here to catch up on the Q&A. After the visit it was tough for me not to feel angry about the situation people in detention find themselves in. The isolation and loneliness is almost palpable within the centre and as I left through the car park I couldn’t help but feel a sense of guilt. All the people I have met have had vastly different stories and diverse paths which led them to detention. Despite their different personalities, they all shared the same feelings of fear and isolation. The hardest thing, he said, about being in detention was the fact that you don’t know when or if you will be let out. He said this point effects every single person in detention and undoubtedly has an effect on people’s mental and physical states. I am struck again and again by the often incredibly difficult circumstances that people have endured, and survived, only to find themselves locked up in prison-like conditions indefinitely. Indefinite detention is a psychological torture for any human being. Even people in the criminal justice system know the length of their sentence. I regularly speak to people who are in absolute despair, as many of them fall between the cracks of a very complex, inefficient and harsh immigration system. Three years after Moroccan Jew’s death in detention, why no inquest? In 2016, Amir Siman-Tov died in Colnbrook. Amir was described as “intelligent and kind”. He had been placed on suicide watch at the detention centre prior to his death. In this blog, Hannah Swirsky, Campaigns Officer at René Cassin, asks why the inquest into his death has been postponed until March 2019, meaning questions about how and why he died will have been left unanswered for more than three years. 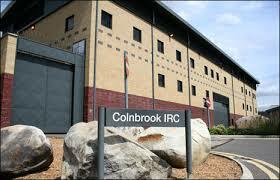 On Wednesday, we published a combined blog from two volunteers with JRS UK, who support people detained in Harmondsworth and Colnbrook. Cashel Riordan provides counselling services in the two centres, and Martin is a new volunteer visitor. You can read about their experiences here. "After each visit I ask myself if I could have done anything differently, more constructively." When you are detained, your phone is taken away, and you get another one, with no access to internet. It is often difficult to contact friends and family who know your sexual orientation or gender identity and could provide support for your claim. You may end up splitting up from your partner, losing touch with people that matter to you, and you don’t have access to your photos, your paperwork, your evidence. You prepare your case with what you have, but you know that you could do more if you were free. Day after day you wait for a decision from the Home Office or the tribunal, which will probably be a refusal. You desperately attempt to put together new evidence. Your lawyer tells you that they can help you prepare a fresh claim if you have new material. But how can you find new material if you are locked up? If you have lost the phone number of the people who may be willing to support you? "Detention is not only a physical barrier between you and the rest of the world. It is a wall of hopelessness, confusion, despair." The final blog of the week was a collaboration between Akiko Hart, the project manager of the Hearing Voices project at Mind in Camden, and Mishka and Red from Freed Voices. Akiko joined Freed Voices at their November monthly meeting. My meeting with Freed Voices was hugely impactful. What hit me straightway were the parallels between their work as experts-by-experience (“not case studies”) advocating for changes in detention, and the work of survivors and service users who advocate for change in mental health. Having a seat at the table is not enough: it is about centring the voices of those at the heart of the system. I imagine there might be similar challenges around having one’s experiences and views side-lined, tokenised or co-opted. 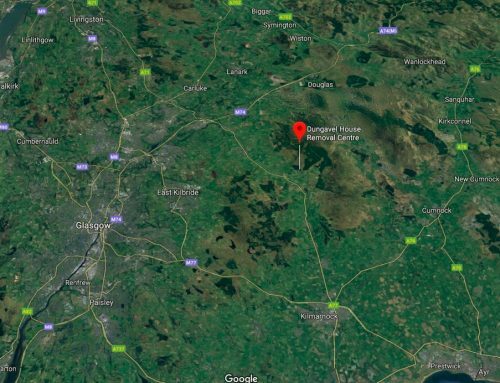 Being involved in a project like Hearing Voices could be a challenging experience for some of our members, as it may involve returning to a place that would make us recall our terrible memories of detention. Detention is a place where an important part of our lives were stolen. 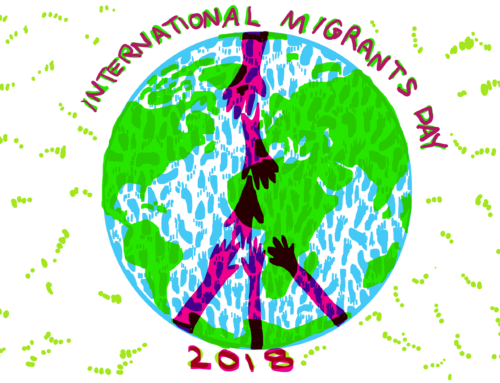 However, the fact that we have already been in detention and our will to participate in this project could provide an important opportunity to reach more people incarcerated in detention centres, and to enable them to handle and overcome the psychological pressure that they are facing everyday. 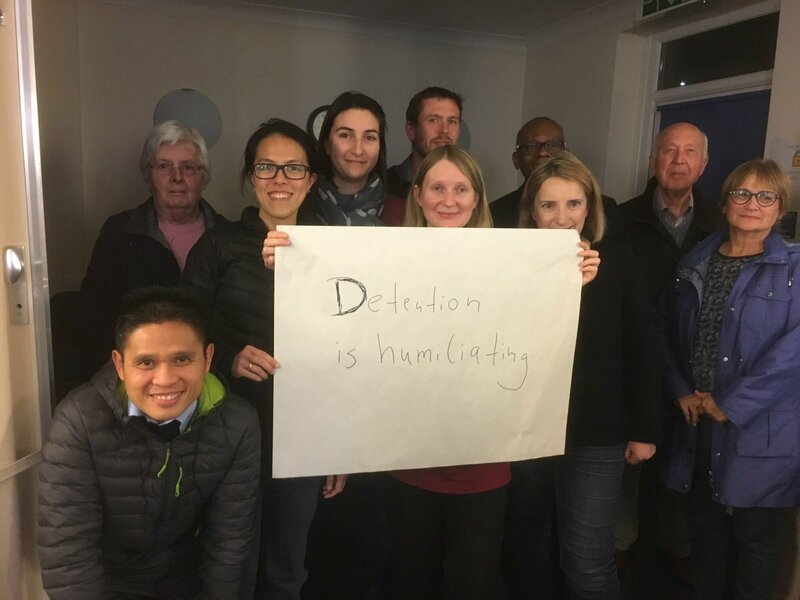 Freed Voices members have first hand experience of detention, which increases our credibility. Thanks for all your selfies this week! You can download signs for selfies here, and read about other ways to take action here. 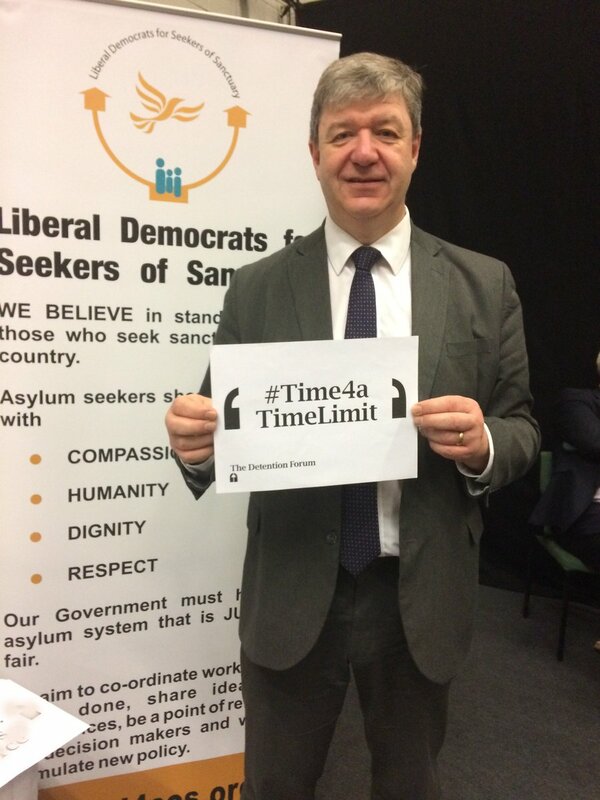 Attendees at @LSESU_STAR event last night (part of their Immigration #Detention Awareness Week) say it's #Time4aTimeLimit and alternatives to detention.